While the NFL maintains an “unwavering commitment to player health,” professional football “will remain the hard-hitting, physical sport that you love,” commissioner Roger Goodell promised fans in a letter Thursday that touted the league’s record on safety. The e-mail, sent to roughly 10 million fans, catalogs several major rule changes dating back to the 1970s. Among those changes has been the elimination of the head slap, clubbing and the horse collar tackle. “Our commitment goes beyond the NFL,” writes Goodell, adding that the NFL has supported youth concussion laws now in place in 49 states. The letter came one day after the release of two book excerpts detailing the NFL’s checkered response to football’s concussion crisis. In the excerpts from their book League of Denial, ESPN reporters Mark Fainaru-Wada and Steve Fainaru trace league efforts to downplay a link between football and long-term brain damage. 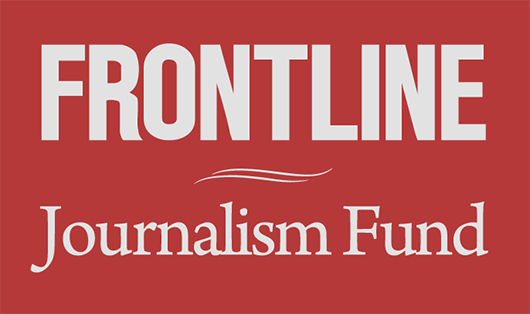 The reporters are also featured in FRONTLINE’s film of the same title, which premieres on Tuesday, Oct. 8. The NFL season is off to another exciting and competitive start. I want to thank you and all NFL fans for your passionate support. We recognize and remind ourselves every day that we have to earn your loyalty. We take that responsibility very seriously. It includes a commitment to deliver the game that the fans love and the safety that players deserve. As a league, we have an unwavering commitment to player health and making our game safer at all levels. This is, and will remain, our top priority. We hope that our commitment to safety will set an example for all sports. Within the NFL, safety-related rules will always be clearly defined and strictly enforced, and we will continue to work with our players, coaches, and others to identify new and safer ways to play the game. We will build on our ongoing efforts to fund independent scientific research, develop better equipment, educate parents, players, and coaches on safe and fair play, advocate for safety in all sports, and enhance programs that support the health and well-being of NFL players and athletes at all levels. Increased safety for players has been an essential part of the evolution of football dating back to its early days more than 100 years ago. We are proud that the game is safer and more exciting today than ever, but we are never satisfied. In keeping with our history, we are committed to pursuing a path that ensures the rewards of playing football continue to far outweigh the risks. Led by our Competition Committee and medical advisors, every year we will look for new ways to make the game better and safer. There have been numerous safety-related rules changes going back decades: from the 1970s when we eliminated the head slap, to the 80s when we eliminated clubbing, to the 90s when we increased protection for defenseless players, to the 2000s when the horse collar tackle was made illegal. When we identify dangerous techniques, we adopt rules to eliminate them. We will continue to find ways to protect players so they can enjoy longer careers on the field and healthier lives off the field. In recent years we have focused on protecting defenseless players from hits to the head and neck area. A new rule for 2013 prohibits any player – on offense, defense, or special teams – from hitting an opponent with the crown of the helmet outside of the tackle box. The helmet is for protection. It is not a weapon. The goal is to take the head out of the game. Recently, Hall of Fame coach John Madden, who co-chairs our Player Safety Advisory Committee, told me that players and coaches have truly adjusted to the new, safer rules. Coach Madden said the players are back to the fundamentals of blocking and tackling, using the shoulder rather than the head. As a result, the game is safer. One of the most important aspects of safety is providing players with the best possible medical care. We work closely with the NFL Players Association to ensure our players have access to the finest doctors and most cutting edge technology. In fact, a large part of our current Collective Bargaining Agreement with the players is devoted to health and safety protections. • We added non-affiliated neurotrauma consultants to the sidelines to assist our team medical staffs. • Each team also has a separate independent physician to assist players and team doctors on return–to–practice decisions after being removed from a game because of a concussion. • Team medical staffs are using the latest technology – sideline video, smart phones, and tablets – in their care of players. Our commitment goes beyond the NFL. We know that our actions influence college, high school, and youth football. It is part of a shared responsibility to protect the future of our game. We are especially proud of our partnership with USA Football this year to successfully launch “Heads Up Football,” a program designed to ensure that coaches are trained and certified in proper tackling techniques as well as concussion and hydration education. 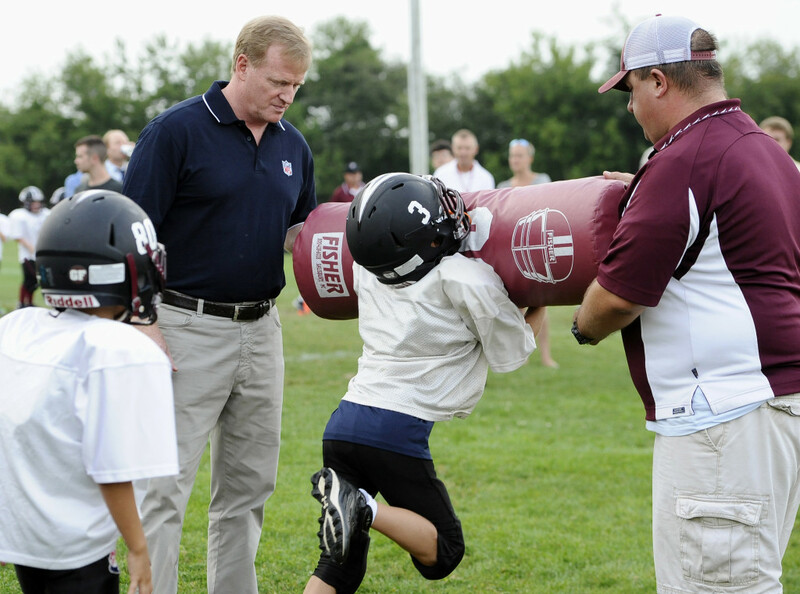 More than 2,800 youth leagues that include 90,000 coaches and more than 600,000 kids have registered for “Heads Up Football” training in its first year. We have made a multi-year commitment to teach a better, safer way to play youth football and look forward to all youth leagues joining the movement. Go to usafootball.com to learn more and see if your league is signed up. If not, urge your coach to sign up for 2014. We’ve also made measurable progress in protecting young athletes from head injuries in all sports. We have supported youth concussion laws that have now been adopted in 49 states. Four years ago, these laws did not exist. Now, almost every child that plays contact sports is protected by a set of procedures governing when they can return to play following an injury. We also have partnered with the national PTA to promote sports safety in schools across the nation. Another important element of our commitment to health and safety is the funding of groundbreaking research. We have pledged more than $100 million to medical research over the next decade, including $30 million to the National Institutes of Health for independent research to advance the understanding of concussions. We have also embarked on a $60 million partnership with GE and Under Armour to accelerate the development of advanced diagnostic tools and protective materials for head injuries. The NFL–GE-Under Armour “Head Health Initiative,” which has already attracted more than 400 proposals from 25 different countries, will reward the best new ideas from around the world in protecting against head injuries. This project and our broader research funding will yield benefits to all sports and beyond. Football will remain the hard-hitting, physical sport that you love. And we will continue to be vigilant in seeking ways to make the game even better and safer. The future of football is brighter, bigger, better, and more exciting than ever. 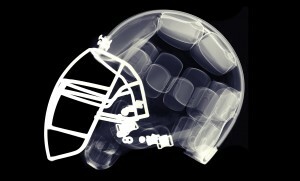 For more information on our health and safety work, go to www.nflevolution.com. If you would like to receive regular updates on the NFL’s health and safety work, please click here. Enjoy the football season. We are grateful for your support.